It’s pretty safe to say we live in a mobile obsessed world. We chat with friends and families on the go. We order food with just a few taps. We swipe and date. Heck, we can even fake cuddle fake kittens from our phones. And of course, we use our phones to shop — a lot. According to Statista, mobile e-commerce continues to grow rapidly and is expected to make up almost three quarters of e-commerce sales (valued around $3.5 trillion USD) by 2021. While those numbers are certainly impressive, they don’t entirely paint a holistic picture of the state of mobile ecommerce (mCommerce) today. It’s true that more of us are using our phones to shop. However, what those numbers don’t entirely convey is how we use our phones to shop (and conversely how our phones affect how we shop). And that ‘how’ is worth some checking out. Our mobile phones, by their very on-the-go nature, were designed to serve as multitasking devices. They’re our little sidekicks that help us check facts as we need them. We use them to kill time while waiting at the doctor’s office or to bury our faces into during those awkward moments on the train or in the elevator. Needless to say, we often approach shopping on them in the same manner — while multitasking. Unlike when we shop from our desktops — where we’re more-or-less focused on the task at hand — our attention while shopping from our phones is finite, and in constant threat of some passing distraction. It’s this fragmentation that is having a major impact on mCommerce conversions. While the projections for mCommerce growth remain impressive, the fact is, mCommerce continues to lag behind traditional desktop e-commerce — and it’s costing merchants big. So much so that Magento and PayPal recently launched a major initiative to help solve the problem. Called the Mobile eCommerce Optimization Initiative (we’re the digital agency behind the initiative), the ongoing project is bringing together merchants and their SIs to identify trends and barriers that are preventing shoppers from completing their purchases on their phones. While results are still coming in, a major trend that we’re seeing is that conversions are closely tied to the user experience. Or more specifically, how quick and easy it is to complete a purchase. 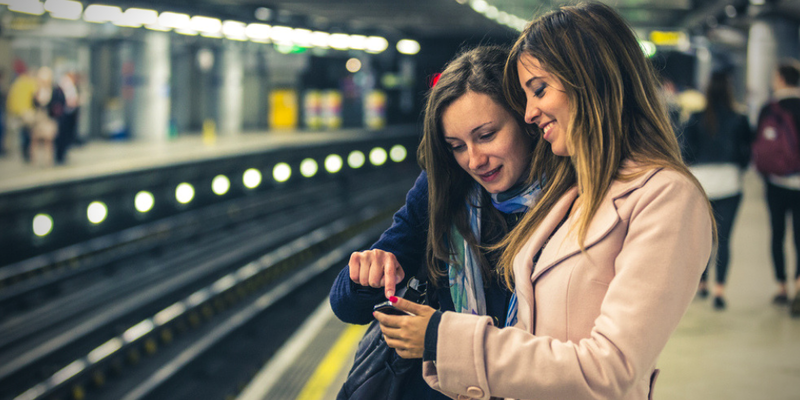 Mobile shoppers are distracted and on-the-go. And the websites they go to need to be as easy as can be to complete a purchase. So, what steps should you take to increase your mCommerce sales? Nothing kills the user experience faster than a hard to navigate website. On mobile, where screens are compressed, this becomes even more critical. Your website needs to grab a visitor’ attention immediately while simultaneously guiding them to what you really want them to see — your product and how to buy it. And to do that, your site needs to be designed from your buyer’s perspective and journey. Your mobile store is not the place to go on about the virtues of your business. Or at least, it shouldn’t be the main feature. Keep your copy short and to the point. We all know how fast our thumbs can scroll! Provide the vital information you need. Note, this doesn’t mean your copy can’t be creative (indeed, some of the wittiest copy in history is short form). Just make sure your words primarily focus on pushing your buyer across the sales finish line. In the world of the mobile shopper, convenience is king — and your website’s convenience factor can make or break your sales conversions in turn. Remember your shoppers are on the go and distracted. With this in mind, your mCommerce website design should aim to reduce as many friction points towards the sale as possible — including the number of steps it takes to complete a sale. Merchants within the Magento and PayPal initiative are currently experimenting with several website treatments to do just this. One being the addition of PayPal’s Express Purchase button to expedite purchases — which has shown to boost conversions when added to an mCommerce site. 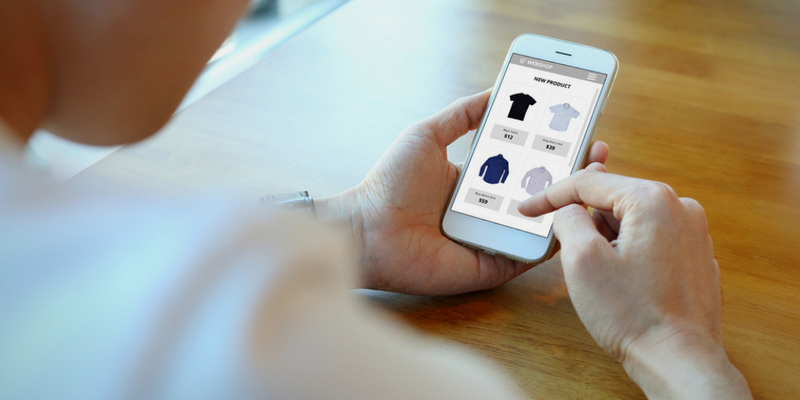 The future of mCommerce is certainly exciting, but it also has its challenges — given the unique way shoppers buy using their phones. For merchants, building an effective mCommerce website design that incorporates our tips is critical to holding shopper attention long enough to drive through to a successful sale. So what are you waiting for? Avoid being left behind. Contact TPM for an effective mCommerce website design today.